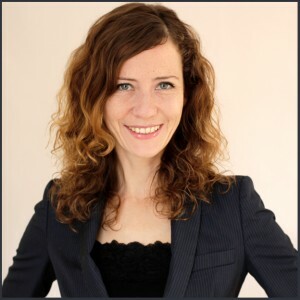 Viktoria Trosien is an innovation facilitator, digital strategist and serial entrepreneur working with companies and startups worldwide. She is driven by her passion for people and ideas. Her purpose is to inspire and enable. To do so, she is backed with a highly creative problem solving mindset and entrepreneurial thinking combined with strong emphatic skills and best of all tons of curiosity, to really understand and solve challenges! Viktoria applies her skills for social causes through kicking of projects like deutschkiste (a free learning material resource platform), pro-bono consulting for social startups and being a juror/ mentor at startsocial. Viktoria’s special interest is to explore the linking of art meeting innovation. For this purpose she founded together with Nicole Loeser the Institute for Art and Innovation. The multidisciplinary institute explores and promotes art and innovation as a means to foster social impact and change. Viktoria studied Sociology at the Free University Berlin, Germany and the Pontificia Universidade Catolica Rio de Janeiro, Brazil. Additionally she holds a Master of Arts in Digital Communication from the University of the Arts in Berlin, Germany and the University St. Gallen, Switzerland. Viktoria has further professional training as coach, facilitator and in e-education. Get in touch on linkedin or xing.